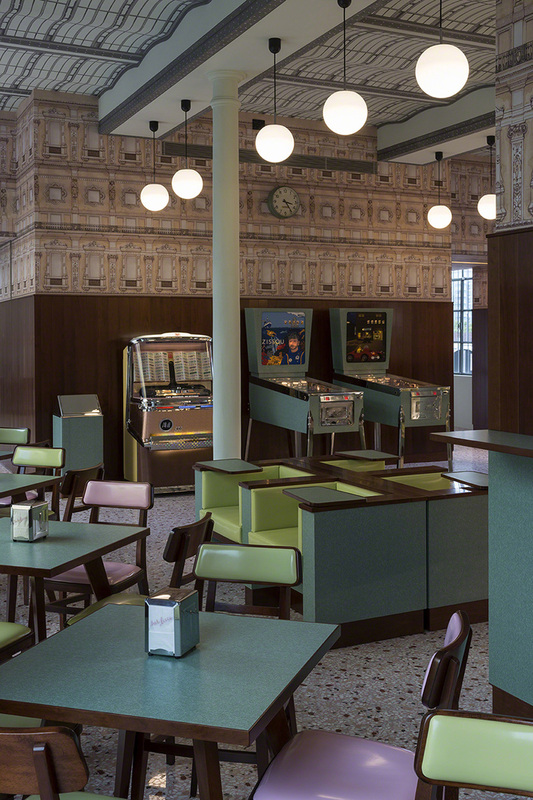 Wes Anderson has designed a cafe, Bar Luce, which opened this past weekend in Fondazione Prada, a new art venue in Milan, Italy. The design is highly Wes Andersonian, including a Steve Zissou-themed pinball machine, formica tables, lots of pinks and pastels, veneered wood wall panels, and wallpaper that recalls sets from Anderson’s Grand Budapest Hotel. 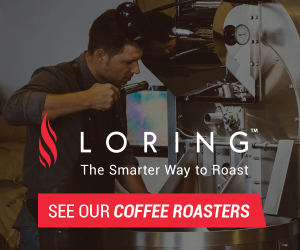 Fondazione Prada suggests the bar — a full-service bar with pastries, a candy counter and, vintage coffee grinding and brewing equipment — recalls a typical Milanese cafè, one that doesn’t reflect the symmetrical tableaux characteristic of many of Anderson’s film sets.